First of all, it is worth noting that Gateway is a massive enterprise with a fund balance of over $155-million. 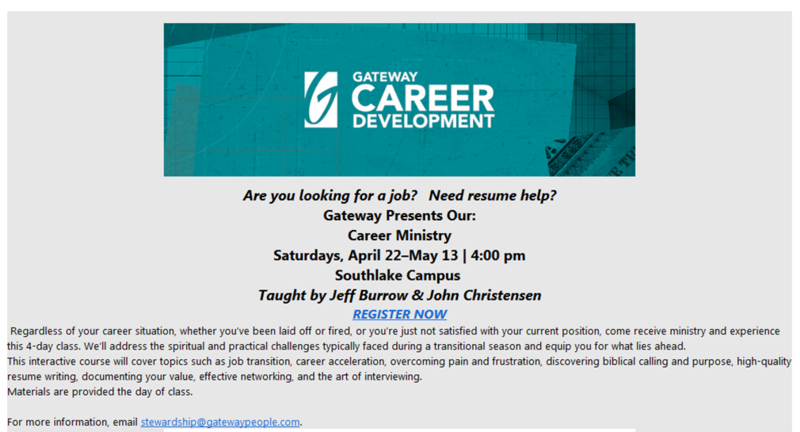 At first glance, I have a hard time understanding why Gateway makes their youth group pay for their mid-week pizza snack and is downsizing operational staff. Gateway has not responded to my questions about the matter. 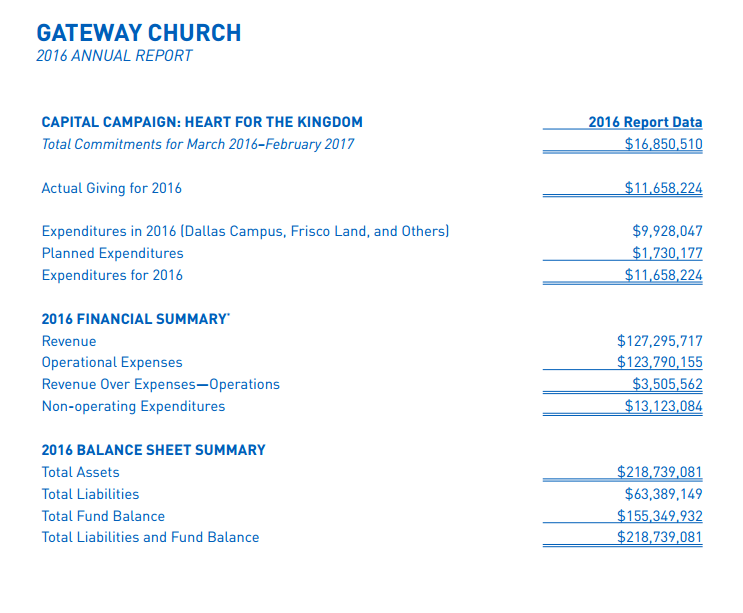 Curiously, Gateway reports $13,123,084 in “non-operating expenses.” Non-operating expenses refer to funds spent not in keeping with an organization’s mission. As a non-profit, Gateway is supposed to spend donor funds on mission related purposes. If the non-operating expenditures were shown as a deduction from the “revenue over expenses-operations” as was Gateway’s practice in prior years (e.g., 2015), the statements would show a combined spending in excess of revenues (a net loss) of $9,617,522. It appears that Gateway altered their presentation to make the loss less obvious to statement readers. While non-operating expenses can refer to interest payments and other permitted purposes, it is fair to ask why there is no description of these expenses which comprise just over 10% of 2016 revenues. 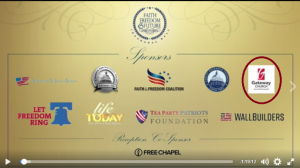 In September 2016, Gateway sponsored and hosted a Solemn Assembly of Christian right pastors to pray for the nation. Although the event was a downsized version of the original plan (75,000 pastors in Cowboy stadium), the promotional video makes it clear that the event sought political change through a religious event. Is any of this political activity in Gateway’s non-operating expenses?